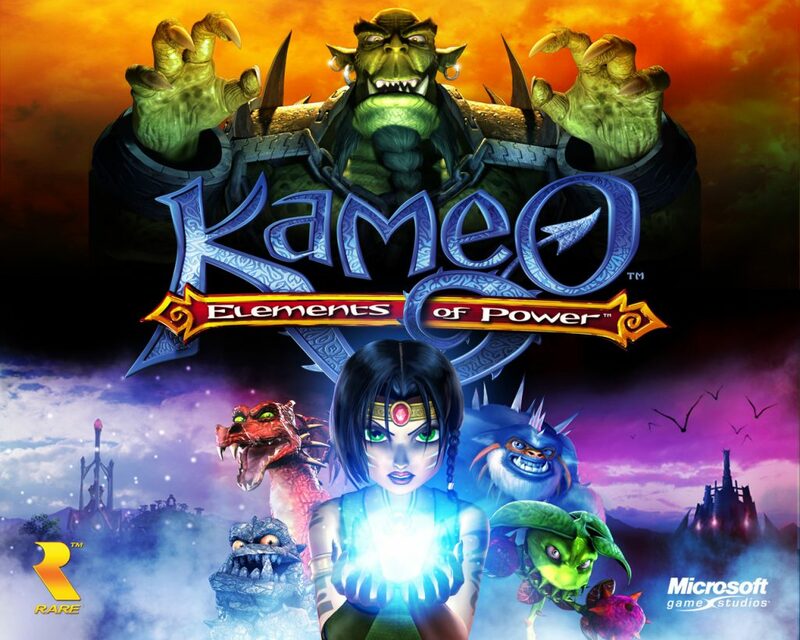 Kameo: Elements of Power is a high fantasy adventure game created by my favourite video game developer, Rare. They always manage to add a little bit of magic to any game they make, and this is no exception. Having said that, this game was originally due for release on the GameCube, then it got changed to the original Xbox and then finally changed to Xbox 360 and I think that this hectic development cycle could have had a negative effect on the game, but I’ll get into that later. In this game you play as a young elf woman named Kameo who is exploring the world to find ten Elemental Warriors to help her to defeat an army of trolls lead by the troll king and (in a cruel twist of fate) her evil sister who are threatening the Enchanted Kingdom in which she lives. It probably sounds like a fairly basic fantasy story line, and it is, but you may wonder what those “Elemental Warriors” which I mentioned are. This is where the game becomes rather interesting. The Elemental Warriors are small creatures which Kameo can merge with in order to become a big and powerful creature herself. This means she can transform whenever she wants. The Elemental Warriors help to keep the game interesting as they’re all quite fun to be and they can help you to do different things and to reach different areas. Personally, I spent a lot more time as Elementals than I did in Kameo’s default form and I imagine most players will do the same. I wouldn’t like to spoil them all (as part of the fun comes from finding out what you’re going to get next) but two of my favourites were Ash (a big red dragon) and Deep Blue (a weird ocean creature.) All of them are quite cool but still manage to maintain that quirky feeling that almost anything designed by Rare manages to give off. The game has a big open 3D world for you to explore as you please. You need to go to certain places in certain orders, but exploring always helps you to find nice beneficial secrets. What makes exploring all the more appealing, is the fact that the world is very beautiful. There are enchanting forests to explore, ocean caves full of pirate’s loot and lots of other alluring locations too. I feel like the fact that the game was so beautiful helped to make it easier to overlook some of its faults, which I’ll go into now. Between doing tasks on the over world, you’ll find yourself doing certain levels. These levels have you getting from point A to point B while fighting any enemies you come across in between. This is fine, but it doesn’t seem to me that the combat system is very polished. It can often be hard to hit enemies properly and it sometimes feels like you’re getting hit (or even killed) just because Kameo won’t do what you want her to. I would be having loads of fun doing something in the over world, only to roll my eyes as I realised I was going into a new level and would have more fighting to do. The fighting really is the only downside with the game, it’s just a shame that it comes up so often. This is what I meant when I said somethings might have suffered due to the constant changing of hardware. Overall, I liked this game. It’s not bad by any means and even though the combat can be occasionally frustrating, it still ultimately works and so isn’t too bad. It could be improved, that’s for sure, but those improvements would be turning a good game into an absolutely fantastic game, not a bad game into a good game. Rare fans will love it especially as there are several little references to their other games scattered throughout (a downloadable skin can make the Pummleweed Elemental look like Mumbo Jumbo and you can get Joanna Dark’s outfit for Kameo.) It’s definitely worth a try.